Tonight I decided to stop by Karl Strauss in Downtown San Diego to see what they had on for Cask Night. I was excited when I saw that the cask beer was a mosaic session IPA. I always enjoy trying beers with single hops because it is a great way to familiarize myself with specific hop flavors. In this case, the mosaic hops were delicious and had a nice crisp grapefruit flavor that really gave some nice flavor to this beer. 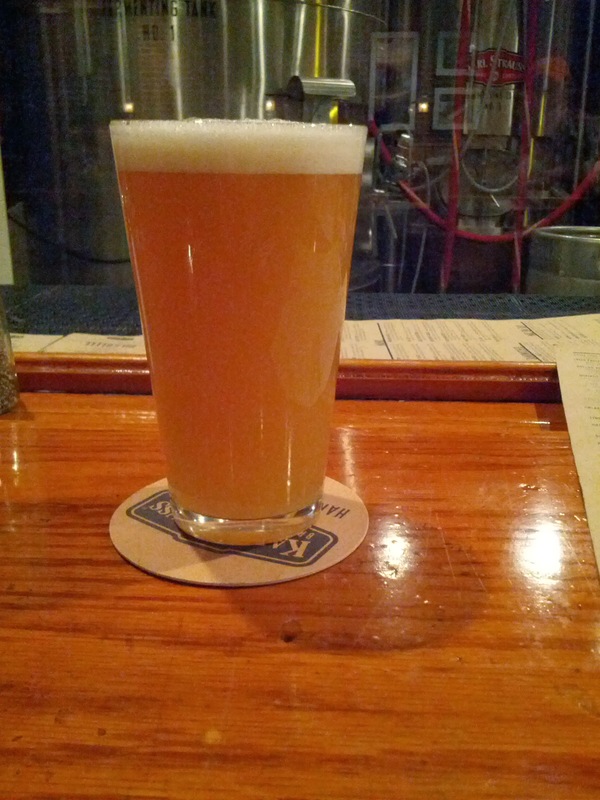 Pint of Mosaic Hop Session IPA on Cask. After devouring this delicious cask, I went for the pale ale because I have been exploring local pale ales lately. I’ve already become quite familiar with most of the IPAs that Karl Strauss brews so I wanted to see if I could try something I might have overlooked before. I was pleasantly surprised with the flavors from the pale ale though it was still slightly more malty than I might have preferred. The hops give it a delicious amount of citrus bite that you can really feel in the mouth. Some of the hops go a little heavy on the piney flavors for my tastes though and so I wasn’t completely blown away. Still, it is one of the better San Diego pale ales out there. Pint of Pintail Pale Ale. 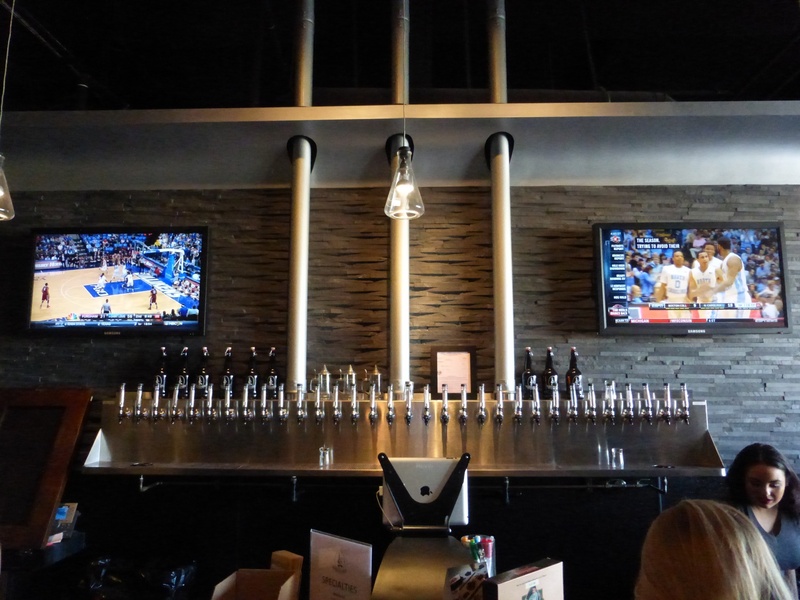 If you are in the mood for something stronger, the Tower 10 IPA is always a great west coast IPA and they occasionally have some delicious double IPAs on tap as well. We all love to hate click-bait articles with inflammatory headlines. Even more so when there is no place to comment in reply. These are best responded to with longer blog posts to adequately address the issues. David Infante on Thrillist posted recently an article called “Why I Hate IPAs.” My first response to that is that he should learn to recognize that beers are created in many different styles precisely because people have different tastes. It is because of the recent craft beer explosion that people who don’t appreciate PBR and other similar beers David seems to love have other options. Before I get deeper into this response, let’s look at a few of his major complaints. 1) IPAs are quite filling and lead to bloating, 2) IPAs are musky and grassy and taste like spoiled beer 3) IPAs are overpriced, 4) IPAs can’t be chugged. This point I can concede but I would add for most people IPAs are also problematic because they are high calories. The same is true for most beers with a high ABV so it could equally apply to imperial porters, imperial stouts, and all of the other stronger beers. My response to this is simple, fans of IPAs are more concerned with the taste of the beer. If a little bloating is problematic by all means drink something else. It is precisely because of this aspect of IPAs that they are not an everyday enjoyment for me. I would say David needs to learn about the different types of hops before he starts to lump all IPAs together as having the same flavor. There are two main types of IPAs, darker malt-heavy brews and lighter PBR colored hop-forward brews. Within each of these two styles are a number of different flavors that you can find in mass-produced beers. The flavors change drastically depending on the types of malts used and the types of hops used. Some hops provide a grassy flavor. Others provide a floral flavor, others citrus, others grapefruit, others pine. The list goes on. I personally don’t really like the darker malt-heavy IPAs but that just means I tend to find IPAs that present the flavor profiles I enjoy out of a good IPA. I tend to prefer the grapefruit, floral, and citrus flavors of hops and so I typically buy IPAs that lean in that direction. This brings me to something that led me to create this blog in the first place. I believe brewers have failed because they think it is enough to simply label their beer as IPA and hope it will sell. This leads consumers to assume that IPAs all taste the same when in fact there are multiple varieties. I will rarely buy a six pack of an IPA I am unfamiliar with now because I know there is a 50% chance that it will feature flavors I don’t really care for. Breweries that take the time to list the hops and flavors present in the beer (like San Diego’s Modern Times) are going to end up ahead of the competition because they describe their beers in a way that someone who knows what flavors they like can understand. This means less dissatisfied customers. This is a bit silly, especially with the example given that some six-packs are $22.50. Most fans of IPAs know what they like and can find a six-pack for around $10, maybe $13 or $14 with certain brews that cost more to make. Cost-conscious IPA fans learn quickly how to find what they want at a price that makes sense. Many breweries are starting to charge $9.99 for a six-pack or sometimes $9.99 for a four-pack of 16oz cans. I would never spend $22.50 for a six-pack because at that price I am better off spending $5 on a 22oz bomber or filling a growler at a local brewery. Either way, craft beer is going to be slightly more expensive because it tends to have more quality ingredients. It costs more to brew a good IPA than it does to brew PBR, especially when you don’t have the capacity for brewing on such a large scale as the big beer companies. I would hope that anyone serious about beer enough to complain about certain tastes would respect themselves and the beer enough to recognize that it is not worthwhile to chug any beers. Craft beer, whether it is a pale ale or an IPA, is meant to be enjoyed for all the flavors not downed quickly to get drunk faster. Rather than complaining that IPAs can’t be chugged, if beer under 5% ABV is desired there are plenty of quality craft beer options out there to choose from. There are plenty of local breweries in most cities that sell six-packs of well-crafted pale ales, blondes, and ambers. 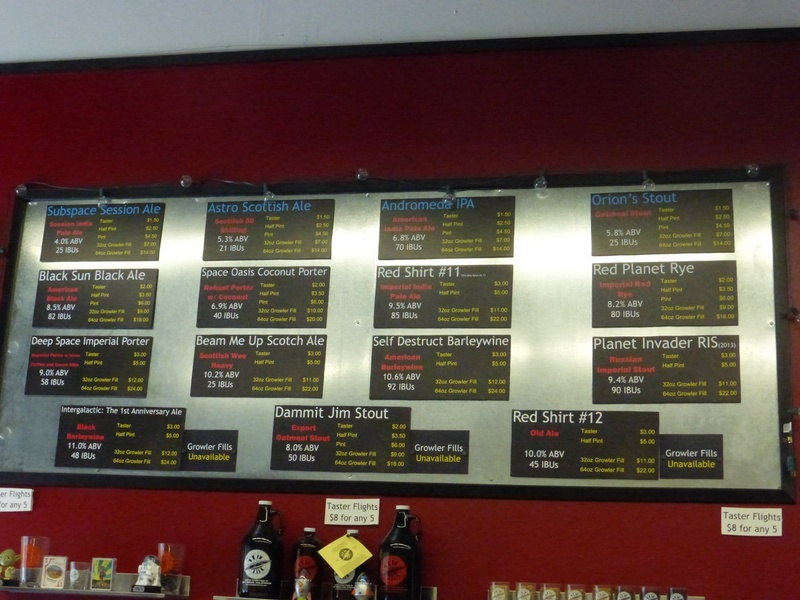 The best way to find out what to buy is to visit those breweries and order a couple of tasters. Recently Craft Breweries have started brewing session IPAs as a way of providing the flavors one expects from an IPA in a lighter beer that can be enjoyed all day long and doesn’t have the bitterness of a 7% IPA. I doubt David would appreciate these beers though because he says clearly that flavors are not important to him. If David wants craft beer fans to respect his opinion, he should start by learning to respect the beer he drinks. If flavor truly doesn’t matter to him then he is wasting his money even when he buys a six-pack for $9.99. The craft beer movement was led by people who demand more from their beers than simply watered down lagers. Lately I have been searching for the best local pale ales under 5% that are light in color and have the citrus and tropical fruit flavors I like in an IPA. What are some local examples of lighter beers with good flavors? One example of a San Diego brewery that does this really well is Modern Times, with their Fortunate Islands. This is a wheat beer that had hops added to it to give it the tropical fruit flavors I love in an IPA while being a low 4.8% so that it is great for those days when you want to down a six-pack (or in this case a four-pack). Another beer, though sadly not available in six-packs yet is Rough Draft Weekday IPA, a session IPA. This is also a 4.8% beer that has a lot of the citrus flavors I’ve come to expect from IPA along with a light pine flavor. Still at $5 a 22oz bottle it is not too expensive. I hope one day the brewery will start to sell this delicious beer in six-packs. Finally, Karl Strauss makes a delicious Pintail pale ale. At 5.3% this is a little bit above the threshold for some but it has a lot of the same citrus and tropical fruit flavors that I enjoy from a good IPA. This beer is typically available in reasonably priced six-packs at $8.99 each. 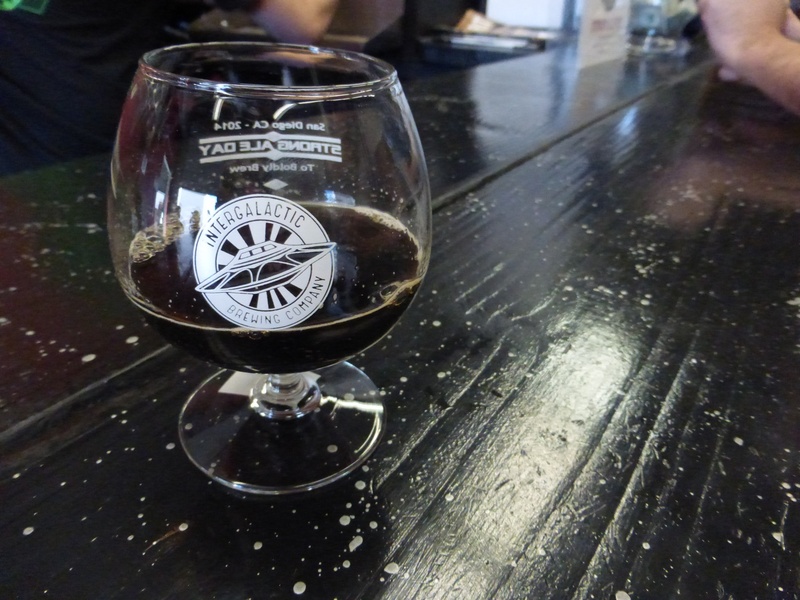 When I first read about Strong Ale Day my first thought was “This is going to be a bunch of malt-heavy beers like Old Ale and Wee Heavy.” Thankfully, there were a variety of beers available and we got to grab a solid snifter glass to go with them for not too much more. Having the right glass makes all the difference so it was interesting to check it out. There was one slight logistical problem with the setup in that everyone had to go back to try each of the six tasters included with the glass. So the line was much larger than it would have been if everyone took six beers with them at once. I went with two friends so I didn’t have to have six tasters on my own of all these strong beers. It was good that I did because I prefer to let friends finish the ones I don’t really care for. We started with the 8% oatmeal stout called Dammit Jim Stout. It had a solid flavor but didn’t really stick out in any way. Next we went for the Imperial Porter that had some solid coffee and chocolate flavors. This one was quite nice and smooth though it still didn’t match the Victory at Sea from Ballast Point. We then went for the Imperial IPA. It was my favorite of the set and quite deliciously hop forward. I couldn’t taste much malts but mostly nice tropical fruit and citrus hops. Next we tried two different barleywines. I’m not typically a fan of this style but both of my friends enjoyed them. The Black Barleywine was not as bitter but they were both pretty interesting. The flavors were both a bit on the sweet side for my tastes. Finally, we went with the Imperial Stout. I didn’t try the Old Ale or Wee Heavy because I don’t typically enjoy those style. Overall, it was a fun experience and a great way to get people to recognize how important it is to use the right kind of glass for the right beer. With a snifter glass it sends the message that this beer should be savored slowly, which we certainly did. At times it felt pretty crowded, much more than I have ever seen here before. If there is one thing I find is missing when I stop by Alesmith it is a lighter beer to go with Speedway Stout. Speedway Stout is an amazing beer but also so strong that it makes me wonder what the brewers could do with a porter. Thankfully, some seasonal beers have been satisfying me lately as far as darker mid-range options both from the My Bloody Valentine and the Evil Dead Red. Still, both of those options are a bit on the hoppy side so for someone like my husband who hates hops, there is still not much to love. Enter the robust porter and you might have a winner. The guys at Alesmith told me that this one was released first about a year ago though I seem to have missed it. This is only the second time it has been available and they brewed enough that if you aren’t in the area by the brewery you should find it on tap at some local bars for a little bit. 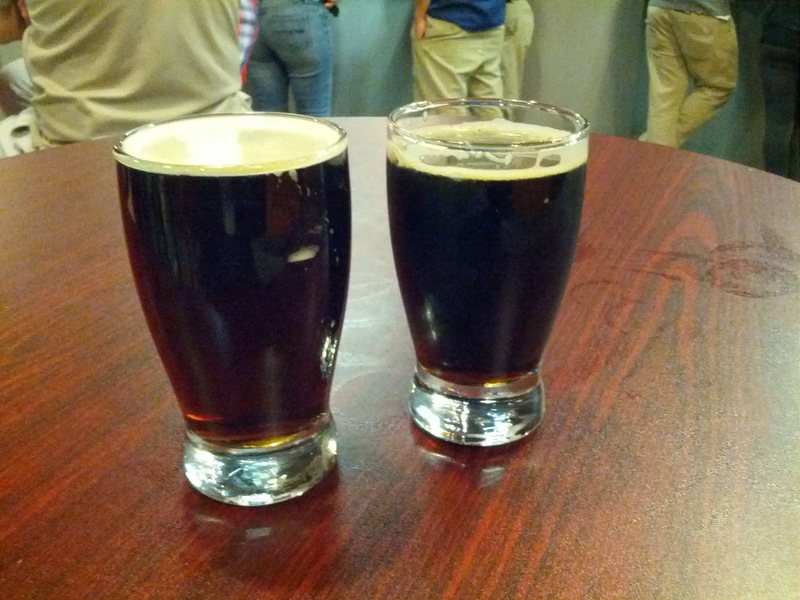 Cask Nut Brown (Left), Robust Porter (Right). The robust porter looks like a porter and tastes like a porter. It has a light smoky flavor at the front end with a mild splash of chocolate and some plum flavors from the malts. The beer is right around 6.5% and drinks quite nicely. I went for a pint after finishing off my taster and it went down quite smoothly. This is the sort of beer that would be a great addition to the regular rotation. I would love to be able to buy this in a six-pack sometime as well. If you are hooked on the Speedway Stout you should absolutely check out the Robust Porter the next time you stop by Alesmith. 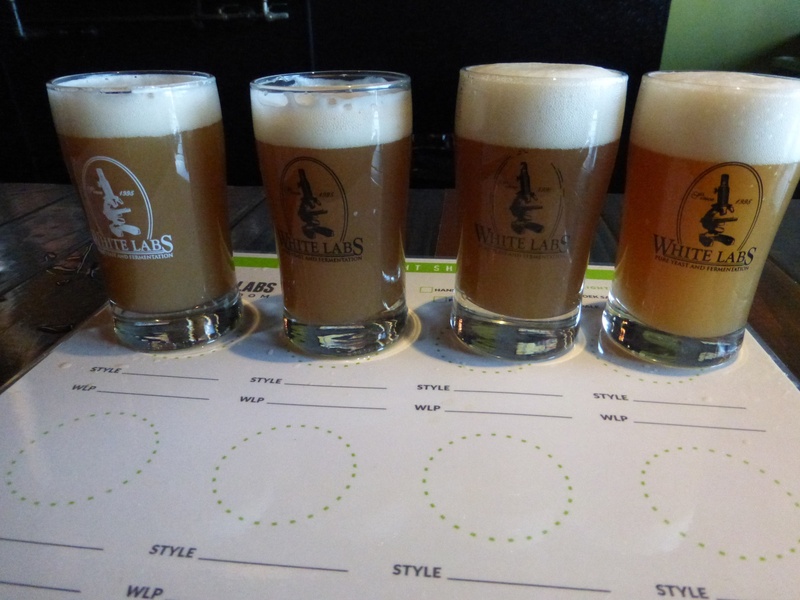 White Labs is an interesting brewery to visit because it is not your ordinary brewery. Most breweries will go with one beer in a specific style or two if you are lucky in an effort to brew the best beer they can. 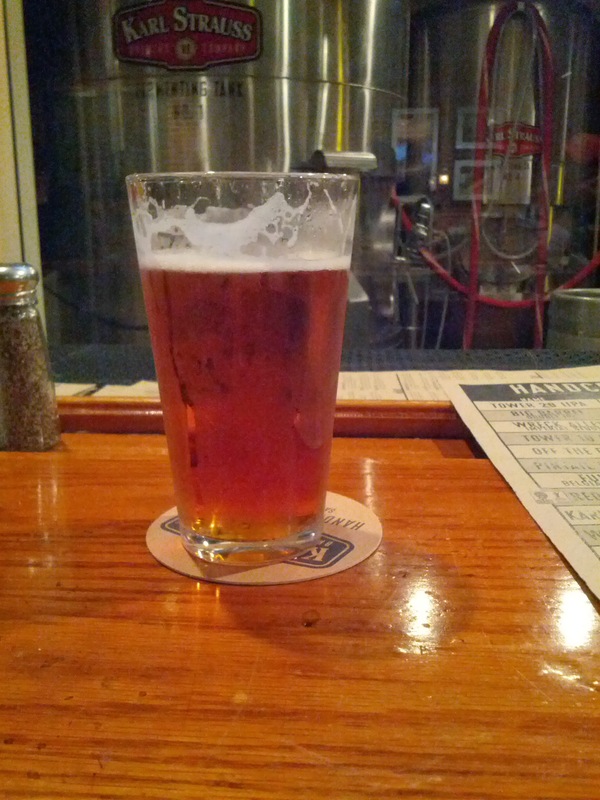 In certain cases breweries end up with an iconic beer like Ballast Point’s Sculpin IPA. 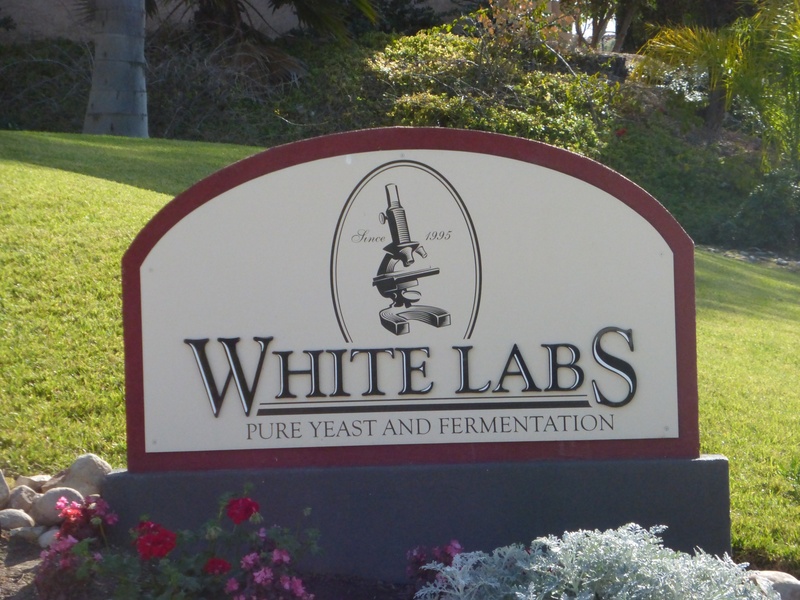 White Labs decided instead to focus on exploring the flavors of different strands of yeast. So while it has beers in a number of styles you might recognize they aren’t going to be like everything else you taste in San Diego. I went with three sets of four tasters for a total of 12 tasters while I visited. I decided to go with the pale ale, the IPA, and the porter. I probably wouldn’t have been able to try all of them even though I was there with a friend. White Labs is exciting for two types of people; those interested in home brewing, and those looking to learn more about how beers are made. White Labs even has home brew classes available so that newbies can get a start by brewing their own beer. To help out those interested in brewing they allow you to download the recipes for any of the beers you taste. As far as the actual beers go, while I enjoyed comparing the four varieties of each style I tried I was not blown away by any individual beer. The pale ales were interesting because I could certainly recognize some of the yeast but they didn’t have the hop flavors I expect out of a good pale ale. Similarly, the IPAs were interesting because they weren’t dry-hopped like most San Diego IPAs are, and they were also un-filtered (pictured above). Flavor wise though, I didn’t really get any of the complex hop tastes I expect in a good IPA. This is to be expected though because their goal here is to educate by getting people to compare the strands of yeast. In order to taste the yeast you have to keep the hops slightly subdued. To finish things off I tried the porters. They were pretty similar to me and all on the bitter chocolate side. Anyone looking for something a bit sweeter out of their porter is not going to like these. 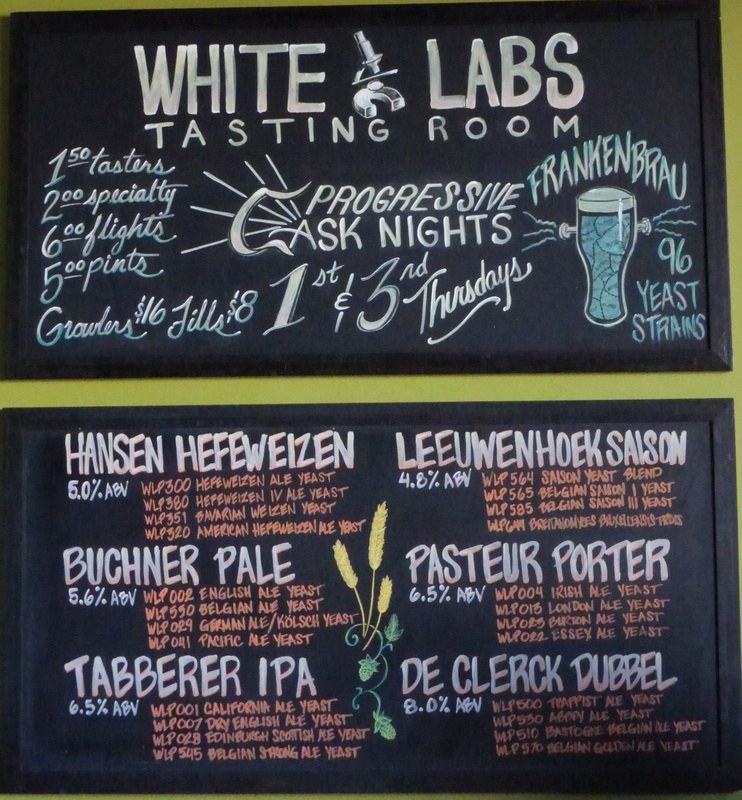 White Labs is an interesting brewery to explore if you are looking to learn more about beers. Though you won’t find any amazingly hoppy beers that will bring you back you might find a better appreciation for certain beers you enjoy at other breweries. For example, fans of Belgian styles of beers might not be familiar with the big part the yeast plays in the flavors. You can certainly taste the flavor in the Belgian Yeast pale ale. Similarly, one version of the IPA has similarities to Green Flash’s Le Freak and I appreciate knowing that this is because of the yeast.